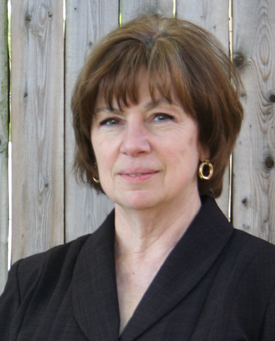 Debbie Houck grew up in Lancaster County and has an associate’s degree in accounting from Lebanon Valley College. She is currently working on her bachelors of science degree in accounting at Millersville University. Debbie has her QuickBooks ProAdvisor Certification, a realtor's license with the Commonwealth of Pennsylvania and is a past graduate of Leadership Lancaster. She resides in southern Lancaster County along with her husband, stepson and their dog Nicky. Debbie has two grown daughters, three granddaughters and a step-grandson. Her responsibilities are for the payroll program and the time and attendance program offered by NTI Group. I attend Pequea Brethren In Christ and belong to a small community group there. Playing golf with my husband and working in my studio he so lovingly built for me. I also love working in my yard and flower beds. I am a knitter, spinner, quilter, weaver, dyer and also dabble in felting. My childhood dream was to be a school teacher. Through the years I have become a teacher of my crafts, Sunday School and currently as a certified QuickBooks advisor. Raising two young ladies I am so very proud to call my daughters. I belong to the Rock Ford Plantation’s Warm Hearth Club and love to spend a few hours once a month on Sunday afternoon cooking up a storm in the hearth. There is nothing like eating terrific “period” food cooked in an authentic hearth. What has been your most significant learning experience? My most significant learning experience has been the fact that Jesus loves me and no matter what storms are ahead, my God will walk by my side as I go through. Why did you decide to join the NTI Group? I felt it was an opportunity to work with people and help them be more efficient with their payroll. What is the best comment a client gave you about your services?